Cannot find any pattern that looks like this set. Wondering if there is information on the set or the company that someone might be able to share. This is what I have about Tashiro. Tashiro Ichiroji was a famous big whole sale ceramics merchant from Nagoya during the Meiji era and exhibited his porcelain wares at major international exhibits. He was internationally famous for his porcelain, cloisonne, cloisonne on porcelain, and earthenware goods. Tashiro Ichiroji's early porcelain works during the Meiji era have written signatures and were sold under his company name Tashiro-ya. Later around the Taisho to early Showa period, his goods were marked with various English backstamps and sold under his company name Tashiro Shoten (the famous elephant backstamp). Tashiro made distinctively decorated pieces, sometimes by Kutani trained artists, but also in Satsuma style. A lot of pieces signed Tashiro can be found, but quality is not always top. The original name of the company was Tashiroya (variation spelling Tashiro-ya) located in Nagoya and began in 1878 by Tashiro Ichiroji. Tashiro also opened a branch office in Yokohama. The company later came to be known as Tashiro Shoten (Tashiro Company) and changed their name to Tashiro & Co. Ltd. located in Nagoya. 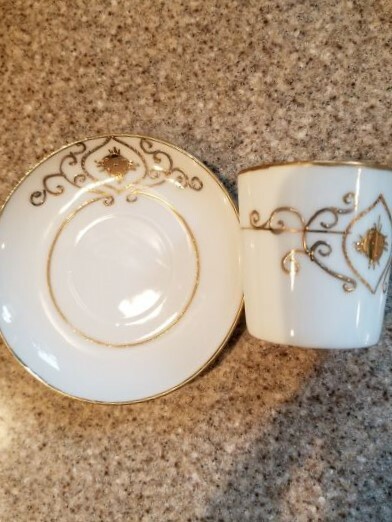 The company produced mostly export porcelains, which were hand painted in the Yokohama studio on the blank, but the actual pieces were made in either in Arita or Seto. The company stopped production in 1954.